There have been numerous cover versions of Adele‘s smash hit, “Hello”. From Demi Lovato, Sam Tsui, and Lydia Lee, just to name a few. And now the heartbreaking ballad has been given the Celine Dion treatment. The 47-year-old legendary diva vowed fans with her cover song at her New Year’s Eve concert – part of her long-running residency at Caesar’s Palace – in Las Vegas. “Tonight, if I may, I would like Adele to be part of our New Year’s Eve,” she told the crowd before launching into the first notes of the song with her powerful vocals. 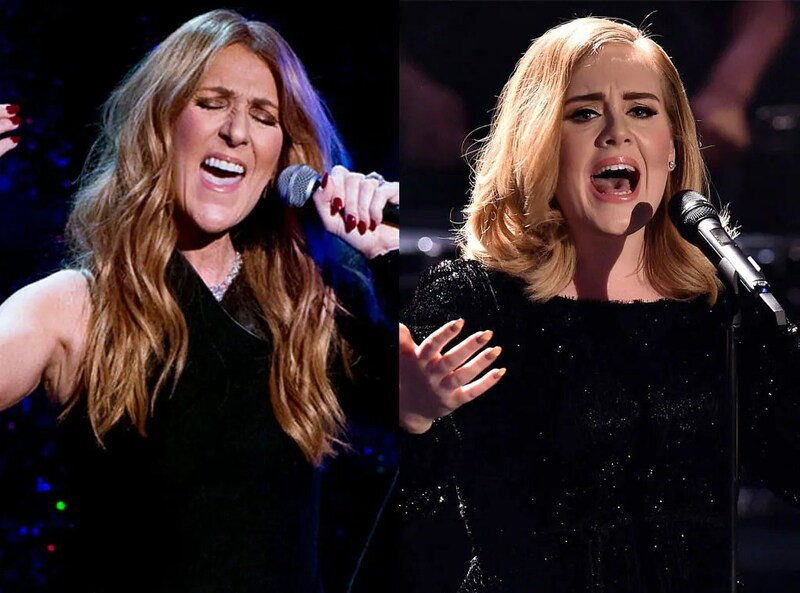 Celine also tweaked Adele’s lyrics singing, “Hello…happy new year”, drawing a round of applause from the audience. She ended with a final “Hello” before blowing a kiss to the crowd. What do you guys think of Celine’s version? Did she do the song some justice? #BeautyAndTheBeast: Are John Legend & Ariana Grande Remaking The Film’s Theme Song?